Pamplona Alta slum, Lima, Peru. 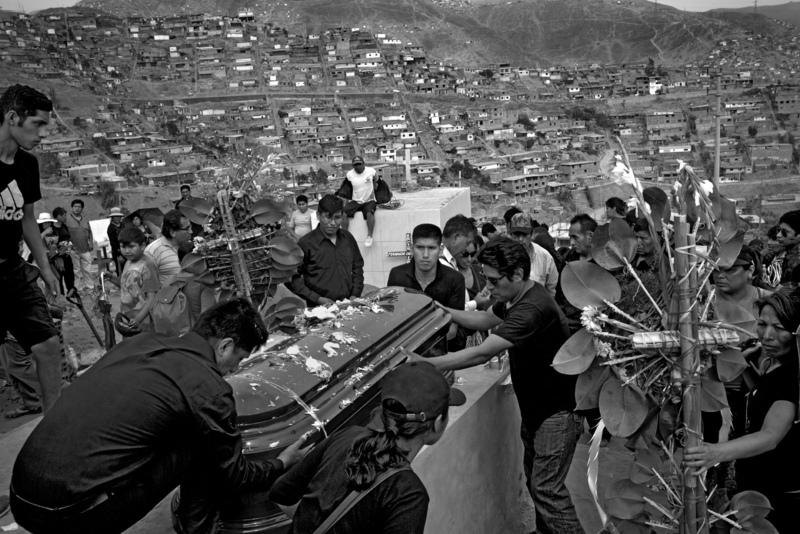 Burial of Fernando Mamani, 46 years old, who died from heart attack. The family, like most of Pamplona Alta population) comes from the countryside. Mamani family is originaluy from Puno region. Because of financial and logisitic issues, they are returniung back the body to the village like the customs say.